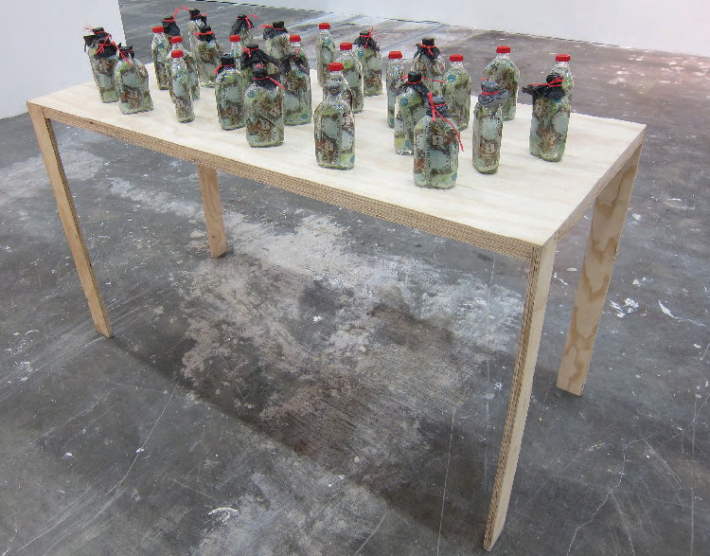 31 aguardiente bottles stuffed with 107 notes of COP$5000 denomination. (2011 Colombian minimum wage: COP$535.000 – aprox. $300). 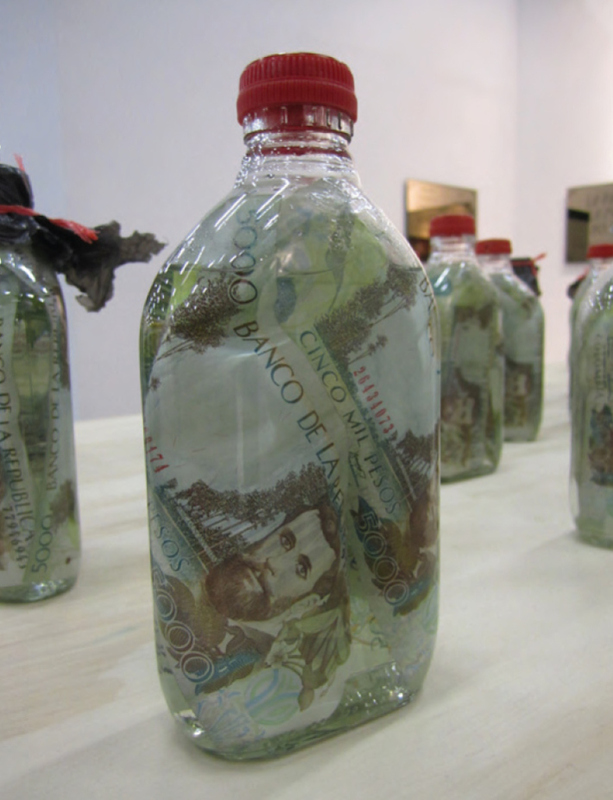 A 2011 Colombian minimum wage is soaked in 31 bottles of Aguardiente liquor. Aguardiente is a local popular spirit in Colombia, made of sugar cane and heavily spiced with anis. Only COP$5.000 denomination notes are used to complete the ammount. These are emblazoned with the face of José Asunción Silva (November 27, 1865 in Bogotá – May 23, 1896 in Bogotá), a Colombian poet considered as one of the founders of Spanish-American Modernism. 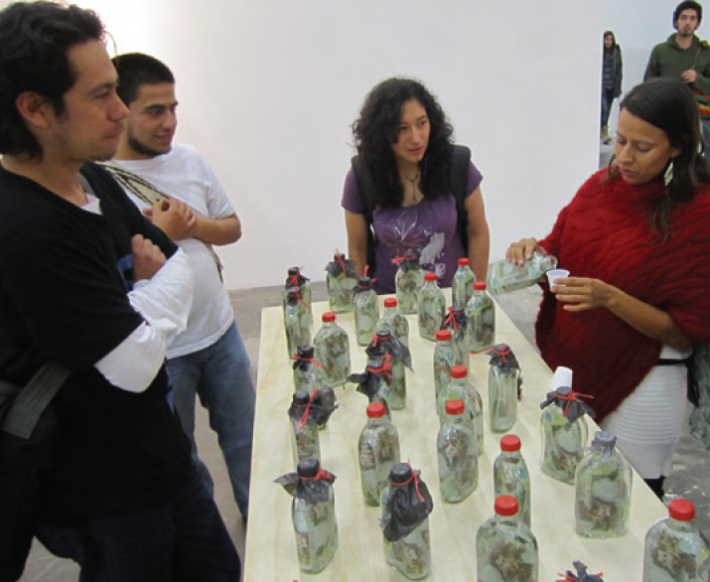 The performance is site-specific for the context of ArtBO- 2011(Bogota International Art Fair). For an hour of each day of the fair, shots of the ‘Aguasucia’ liquor bottles were offered to the public for their consumption.